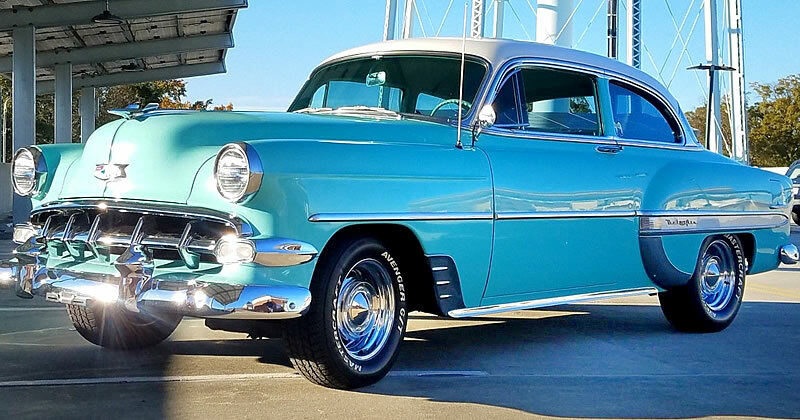 Introduced in 1950, the Bel Air sat at the top of the Chevrolet lineup. There was new body styling for 1953 and therefore 1954 changes revolved around some minor trim changes actually achieving the effect of making the car look bigger and more modern. From the front it looked wider, much of this was due to the new grille that incorporated horizontal parking parks at each end. At the rear things were very similar to the previous year but there were new taillights, now with the taillamp and brake light on the top half and reverse light on the bottom (should the original buyer have chosen that option). 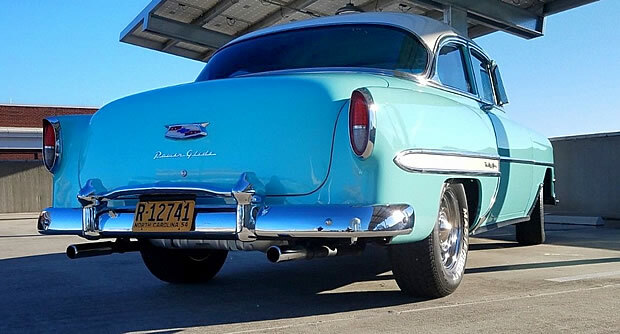 This 1954 Chevrolet Bel Air 2-door Sedan shows off this styling. There were plenty more colors now available as Chevrolet were moving away from drab, conservative colors. They called them "Fashion Fiesta" colors! Although this car isn't equipped with its original wheels it looks pretty original in most other respects. Note the "Powerglide" on the rear denoting that this is an automatic car - an option that would have cost a further $178 when the car was new. 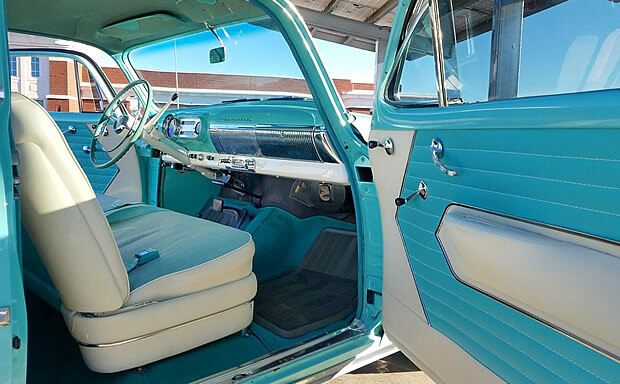 As a Bel Air this car enjoys a Deluxe steering wheel, full carpeting and specific rear fender trim. 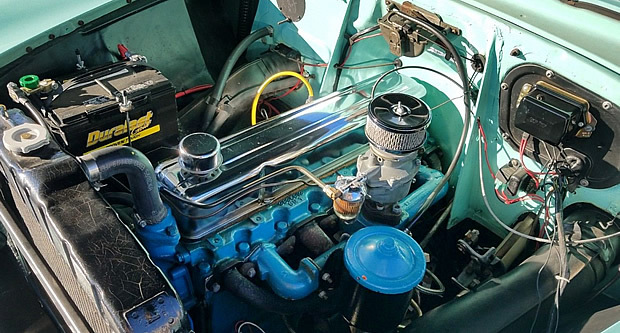 Power comes from the 235.5 cubic inch "Blue-Flame" Six cylinder engine connected to a Powerglide automatic transmission. Total power output is 115 horsepower. Note this Blue-Flame features non-original valve cover and air cleaner. There is no doubt these 1954 Chevrolets are great looking cars. However, the following year Chevy were about to take the country by storm with their all-new designs. 143,573 Bel Air 2-door sedans were made during the 1954 model year at a base price of $1,830. This figure would have included the factory and dealer delivery and handling charges. That was my first car at 16 gave $25.00 from the neighbors boy who was going in the army. We had a blue 2 Dr great car. 1954, the Chevy that was forgotten when the 1955 was introduced with ir’s V/8. My first car at 16 in ’59 from an aunt for $300. 4 dr stick. Oh I would love to have it now.